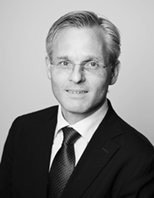 Truls Olsen has been 13 years with Fearnley Securities. In addition to heading the research department he covers the oil services sector with an emphasis on the offshore drillers. Prior to joining Fearnleys Truls worked as a business journalist at leading business magazine Kapital and as an Engineer at Aker Solutions working on the design of Offshore Production platforms. Truls is a Mechanical Engineer from The University of Manchester (UMIST), England, and has a master program in Finance from BI Executive, Norway.